6670 Puupilo Place, Wailua Homesteads. 3 bedroom 2.5 bath. No price yet. This is one of the nicest REOs I have had in awhile. It should be coming on the market next year. Manualoha #704, Poipu. 3 bedroom 3 bath condo. $739,000. MLS# 623172. Serviced by Nationstar Mortgage. 4470 Ihope Place #A, Kilauea. 3 bedroom 2 bath home. MLS#622863. Reduced to $439,900. Owned by CITIBANK NA TRS. 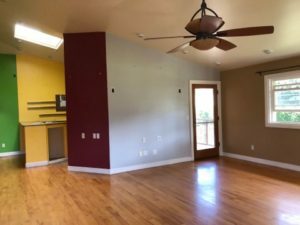 4539 Akialoa Rd, Kekaha. 3 bedroom 1.5 bath Reduced $349,900. MLS# 621713. Owned by Caliber/Hudson Homes. 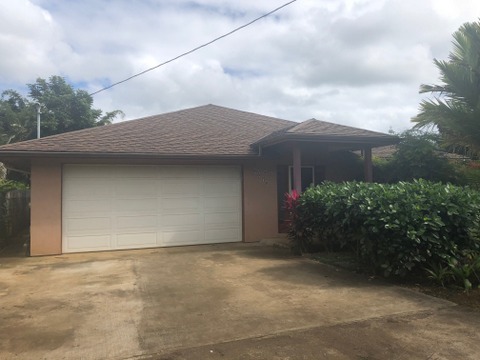 2461 Keneke St, Kilauea 3 bedroom 2 bath home sold occupied. $499,900. MLS#621053. Owned by: Bank of New York Mellon TRS. 3888 Gallo Place, Kalaheo. 3 bedroom 3 bath. Reduced to $624,900. MLS# 620981. Owned by US Bank National Association. 9825 Uuku Road, Waimea. 3 bedroom 1.5 bath. Reduced to $444,900. MLS# 619810. Owned by Federal National Mortgage Association. 3887 Gallo Pl., Kalaheo. 3 Bedroom 3 bath. $584,900. MLS#616209 Owned by Wilmington Savings Fund Society FSB. 4424 Kilauea Rd., Kilauea. 3 bedroom 1.5 bath. $509,900. MLS# 619489. Owned by FEDERAL NATIONAL MORTGAGE ASSOCIATION. Cliffs at Princeville. 1 bedroom 2 bath LEASEHOLD condo, MLS# 619344. Reduced to $289,900. Owned by Fannie Mae. 4410 Ahopueo Dr., Kalaheo 3 bedroom 2.5 bath home. $780,000 MLS#623009. Serviced by Nationstar. Hauaala Road, Kapaa. Vacant CPR lot 18,513 sq.ft. $239,000. MLS# 613696 Owned by Kauai Community FCU. Sold for $180,000 on 11/16/18 Construction loan. Kalapaki Villas #2805 4121 Rice Street. 2 bedroom 2 bath. $259,900. MLS# 620982. Owned by US Bank National Association. Sold for $260,000 CNV on 11/17/18. I couldn’t believe it, another agent today sent me an email to justify a sales price reduction, on an already agreed upon price by saying we have just gone in the start of an recession. Really? Our office is busy. I have to admit, there was a slight lull for around 2-3 weeks, a month or 2 ago, but then our phones started ringing again, consistently. I then checked the MLS statistics. Well yes, that agent only has 2 closed sales this year compared to my 44 closed sales. I guess to her it seems like a recession. I know the stock market has been really volatile, but Kauai’s tourism has been strong and Kauai real estate sales have been strong. I can’t predict the future, but don’t let a Negative Nancy and other unsuccessful people dictate your business decisions.